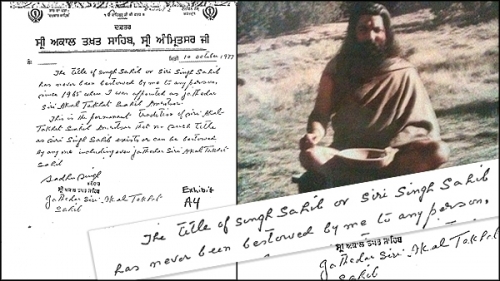 Newly discovered documents expose SikhNet's Yogi Bhajan​ as a fraud & a liar! "Recently discovered documents show Yogi Bhajan was slated for excommunication by Akal Takhat Jathedar Sadhu Singh Bhaura for his teachings, claims and actions that Sikhs consider blasphemous, or “bayadhbee.”!" "In 1977 the Akal Takhat Jathedar declared that he never gave the yogi any title or authority, and later threatened to excommunicate him for his sacrilegious tantric yoga teachings." "If he(Yogi Bhajan) does not respond, he will be excommunicated from the Sikh Panth," he(Akal Takhat Jathedar Sadhu Singh Bhaura) said." "The yogi is exploiting Sikhs in the name of Sikhi, and making fools of innocent Americans."